BSH opens Home Connect APIs for integrating Bosch, Thermador and Siemens smart appliances with third-party home-automation systems and culinary service providers. BSH (Bosch) opens Home Connect API for integrating its smart appliances including Thermador products (shown gratuitously because they're cool) with third-party home automation systems. Bosch Home Appliances (B/S/H) might be the first smart-appliance maker to open APIs for all of its connected white goods, including Thermador and Siemens brands … and generously support developers for home-automation integration via the Home Connect cloud. Smart appliances like refrigerators, stoves and dishwashers might be all the rage to their manufacturers and marketers, but they’re a big fat pain for smart-home providers that want to incorporate the products into a home-automation system. Typically, smart-appliance makers (might) provide a few software hooks for a handful of features to enable a modicum of integration with third-party controls. But they don’t tend to throw their APIs wide open, nor lovingly embrace the developer community. And then there’s BSH, which wants the world to integrate with its Bosch, Thermador, Siemens, Gaggenau and Neff appliance brands. Not only is BSH opening the RESTful APIs for all of its “Home Connect” products, the group also is supporting partners with a robust developer site and a host of tools – extensive documentation, integration simulators, hackathons, sample code, and real-live people to help. 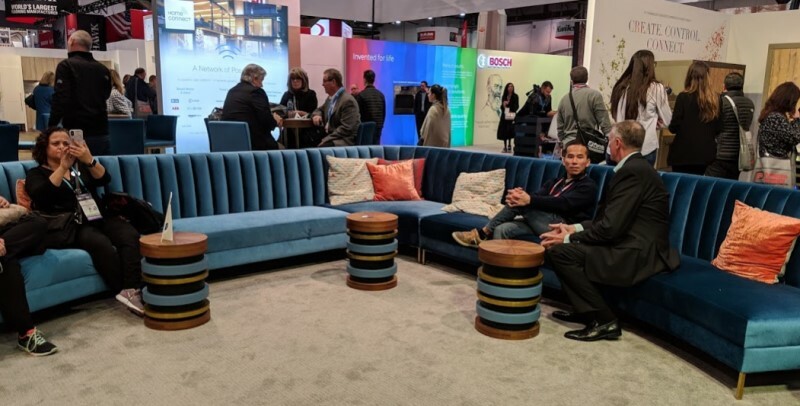 At the International Builders Show (IBS 2019) and Kitchen and Bath Show (KBIS 2019) last month, BSH promoted its Home Connect architecture and demonstrated a simple use-case: Uttering “OK, Josh, good morning” into a Josh.ai pod initiated a macro to ramp up the Nest thermostat, open the motorized shades, and start brewing coffee in a pricey Home Connect-enabled coffee maker. BSH's Johannes Ochsner activates a good-morning scene to raise the shades and brew the coffee; controls major appliances via smart watch. 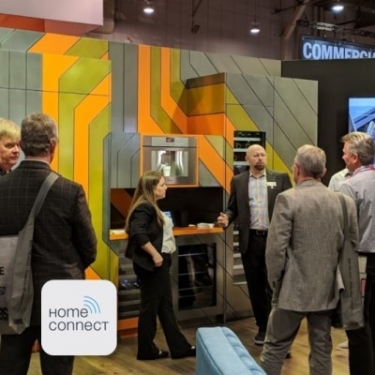 BSH is in discussions with “most key home automation companies” about integrating through Home Connect, according to Johannes Ochsner, head of Connected Products and Digital Services for BSH. The Home Connect logo and messaging on product packaging and collateral signal to the customer, “There’s more things to explore,” Ochsner explains. He says the API exposes more than the usual appliance functionality for third-party control and alerts – beyond on, off, temperature settings, diagnostic data, and the like. BSH products currently integrate with a variety of smart-home products and services, and the roster of Home Connect partners is growing. Several usual suspects like Nest, IFTTT, Amazon Alexa, Amazon Dash and Fitbit are onboard. BSH notes several home-automation partners, but as yet none of the leading U.S. brands. Bosch Smart Home, ABB, Fibaro, Atmos, Homey and iHaus are some of the early partners in this category. Some major culinary brands have joined the Home Connect ecosystem, utilizing data about food in the fridge (and not), and pushing recipes and cooking instructions to various connected devices. HelloFresh, Chefling, Simply Yummy, Drop and Innit are some of the foody partners. And more: Integration with EVE Connect allows users to control Home Connect appliances from their Tesla dashboard. SMA can help users operate their connected appliances in a way that optimizes solar energy. And Flic lets you initiate Home Connect commands with the press of a Bluetooth button. Thermador – More than 100 major products across all product lines, ranging in price from a $1,399 dishwasher to a $20,000 Pro Grand commercial range. Siemens (Europe only) – 56 coffee makers, ovens, cooktops, refrigerators, exhaust hoods, dishwashers, and washer/dryers, starting at £ 719 ($950) for the iQ500 refrigerator. Neff – 15 cooktops, dishwashers, exhaust fans, ovens and (reportedly) coffee machines. Gaggenau – Starting with cooker hood, but more coming. A really cool couch to match the Thermador retro kitchen. Also gratuitous. Well, hopefully this gets our industry’s attention. Maybe OvrC and Ihiji will check it out for remote monitoring. Great column Julie - we are installing the Bosch and Thermador products in the kitchen of our new showroom for exactly these reasons.